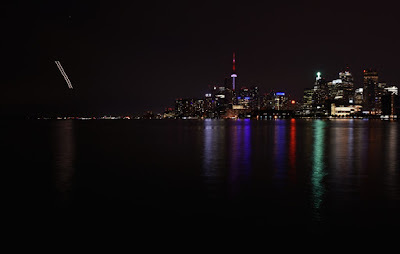 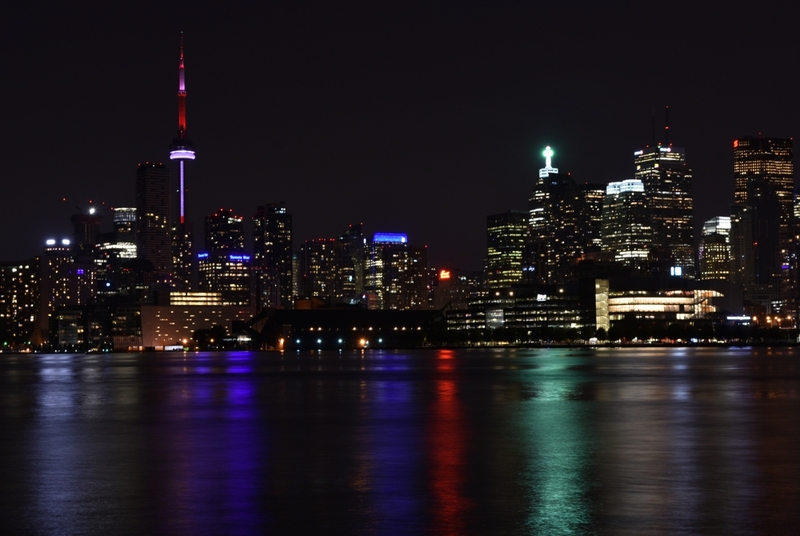 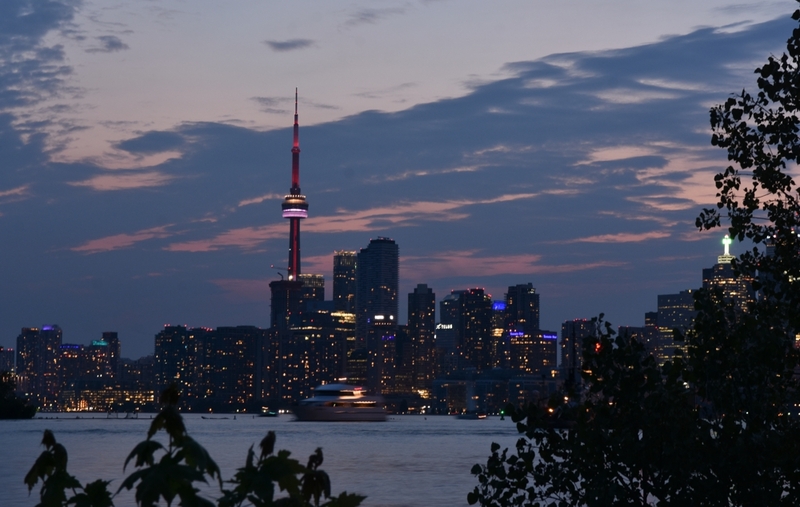 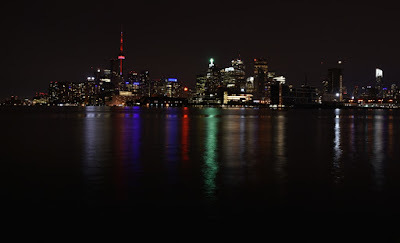 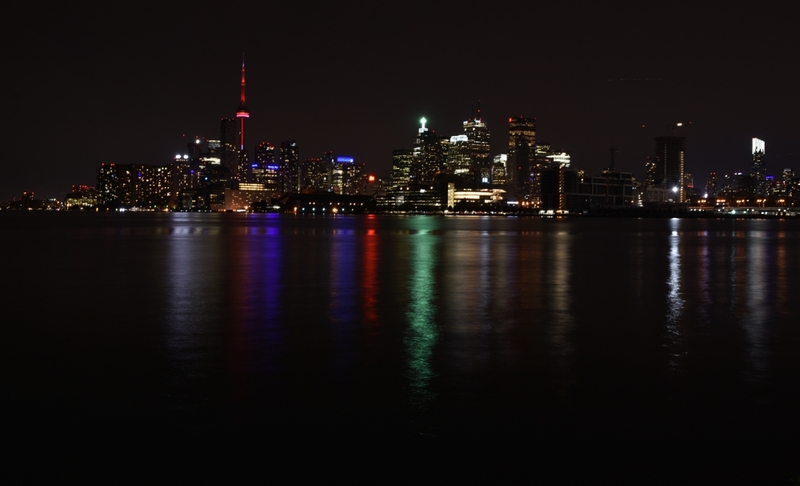 Colourful signs and the light show on the CN Tower reflect into the harbour beside the Portlands. 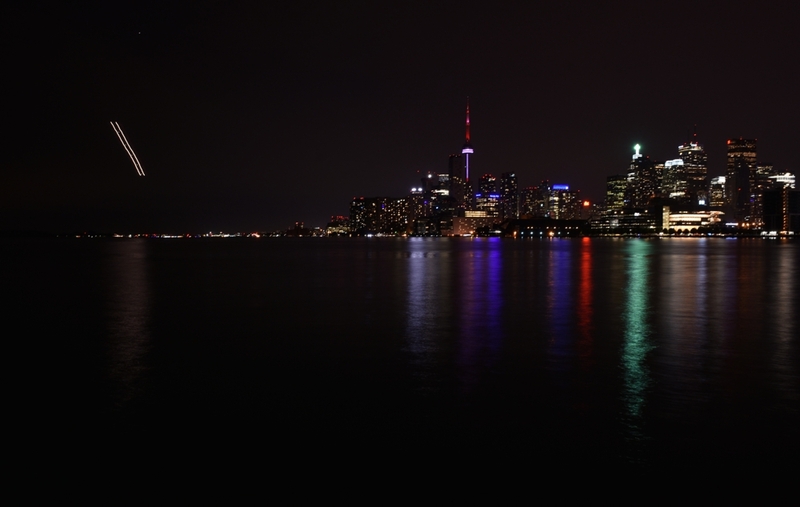 I started down at Cherry Beach where you can follow a path in the dog park to the side of the Eastern Channel. Trees and the former high speed ferry property block a lot of the view.